As of today, we are only 4 weeks away from our annual fundraiser, the Mercy Crew Garage Sale!!! It will be held in the Mercy Gym on Saturday, March 2nd, from 9am-4pm! Our sale will only be as successful as all of you help make it! We need your donations, your help in promoting it and for as many of you to volunteer to help setup and work the day of the sale as possible! We need YOUR gently used, antique, new, handmade, or regifted items! And please spread the word to friends, family, neighbors & co-workers that we will gladly accept their stuff too! And would appreciate any donations of things they would like to get rid of! Tax receipts will be available for donors. So, now that you’re starting the new year by clearing the clutter and doing some cleaning out, don’t throw away those old Xboxes and stereos or household goods, books, clothing, sports equipment, toys, holiday items, or furniture –save them to donate them to the sale instead! Items that you no longer need are sure to be someone else’s great find and it all goes to raising funds for Mercy Crew and our girls. We will take any items in good/great condition, even cars, boats, and trucks! Please help to spread the word about the Mercy Crew Garage Sale by printing and posting our flyer in your workplaces, favorite coffee shops, restaurants, businesses, libraries, etc. Just click on the following link to view and print it to distribute! We will need volunteers the day of the sale, as well as the day before for set-up. Please see below for more details and the SignUp Genius link. Thank you to Jennifer Gkourlias, who will be organizing the and running the Blossom Cafe and Raffle/Silent Auction this year. This happens during the sale so shoppers can buy coffee and sweets and other items and take a chance to win some great raffle items, all of which will benefit Mercy Crew! 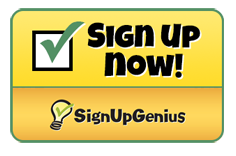 Look for a separate SignUp Genius soon to volunteer to donate bake sale goodies. Jennifer would love some help to organize and run this, so please contact her as soon as possible if you would be interested in helping her at jgkourlias@yahoo.com. We will be setting up and taking donations at Mercy the two days preceding the sale, but in the meantime, if you have any large items that need to be stored, please contact Alisia & Duncan at garagesale@mercycrew.org. Remember: one’s man trash can be turned into Mercy Crew’s treasure! The Mercy Garage Sale is a major fundraiser for us that requires “ALL HANDS ON DECK” to make this a successful sale! All rowers and as many parents as possible are expected to help with the sale in some way. Please be available Friday, March 1st through Saturday, March 2nd. Set up will be on Friday immediately after school and continue until 9:30 PM, then on Saturday, the day of the sale, there will be morning shifts and afternoon shifts which are broken down further into segments so that job details and the day in general will not be as tedious. Please sign up for at least 1-2 shifts. We begin set up. We need parents to help with this as well. Many parents cannot arrive until after work and that is understandable. Cars will be lining up alongside the Gallery to drop off items, we will have people unloading cars with deliveries/donations. When unpacking boxes, place items on the table near the sign that best meets its category (small appliances, books, crafts, sport equipment, glassware, clothing, etc.). LUNCH WILL BE SERVED ON SATURDAY MARCH 2nd FOR ALL FAMILIES! The girls are encouraged to be helpful and/or engage customers and to ASSIST THEM in carrying around armfuls of items they want to purchase. Help carry purchased items to customer’s car (done in pairs …not alone). Check and maintain various other tables during the sale (keep sporting equipment together; check glassware area and keep set of dishes and glasses together, if something is broken throw it out; check tables for “restocks” to their proper table as often people decide they don’t want something and will set it down anywhere. Please keep replenishing from boxes stored under the tables. It would be appreciated if parents could stay to help while your daughter is working her shift, especially at check-out. By 2:30 p.m. on Saturday, regardless of shifts, it’s “ALL HANDS ON DECK” (or at least as many people available as possible) to help clean up the gym. When we leave the gym on Saturday, we cannot leave anything behind… EVERYTHING has to be out. We will be loading a truck with leftovers for Salvation Army. Thank you for your continued commitment to Mercy Crew!